You can buy Nandrolone online from numerous black market suppliers. If you are doing so there are risks you need to be aware of. 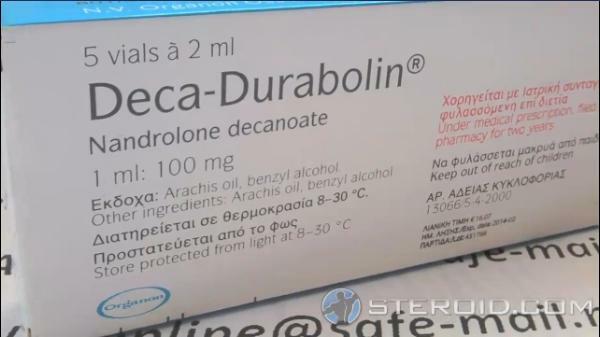 Nandrolone is not a commonly counterfeited steroid, but it does happen. There is also the possible issue of contamination or under dosing. Of course you may also find you’re buying from a direct scammer, someone that takes your money and provides no product. However, there are plenty of quality suppliers and you’ll find it’s also one of the most affordable steroids on the market. While quality Nandrolone isn’t hard to find the primary issue of concern is and will always be legality. In the U.S. Nandrolone is classified as a Schedule III controlled substance by way of the Steroid Control Act of 1990. Any purchase or possession of a Schedule III drug is not legal without a prescription. An online purchase will not be a legal purchase and can come with heavy legal consequences. The laws are not the same in some other countries; in fact, they can vary dramatically depending on the country in question. Some countries have very lenient laws, some allow over the counter purchases without a prescription and everything in between. It is imperative that you know and understand the law of where you live before you make a purchase of Nandrolone or any anabolic steroid. However, you’ll find that online purchasing is frowned upon almost everywhere. If you are looking for a good anabolic supplement, one that will keep you safe and within the safety of the law, we recommend that you check out the site sponsor anabolics.com. Here you will find quality products that are both legal to obtain and without a prescription.